There are some ridiculously cool things coming from Finale and the MakeMusic folks very soon and -if I’m the first to tell you about them… well, you heard it from me and MusTech.Net first! MakeMusic/Finale will be offering their Finale NotePad 2012 version FREE! … and it’s bigger and “badder” than before! The NotePad 2012 version will include Unicode font support (think writing in multi-languages) and aspects of their new “ScoreManager” interface for simplified control of the playback audio. The free version of Finale Notepad 2012 is set to be released on February 15, 2012 (very soon!) To find out more about this upcoming release version, please read this post at the Finale Blog. 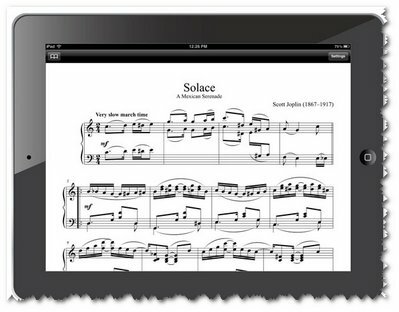 To make things even cooler, MakeMusic has also announced an upcoming “score viewer” app that will allow users to play, view, and print their Finale-based notation via the iPad! Find more about this iPad app at this link. Very cool things coming indeed!